Note: This post originally appeared August 11, 2015 and has been updated. 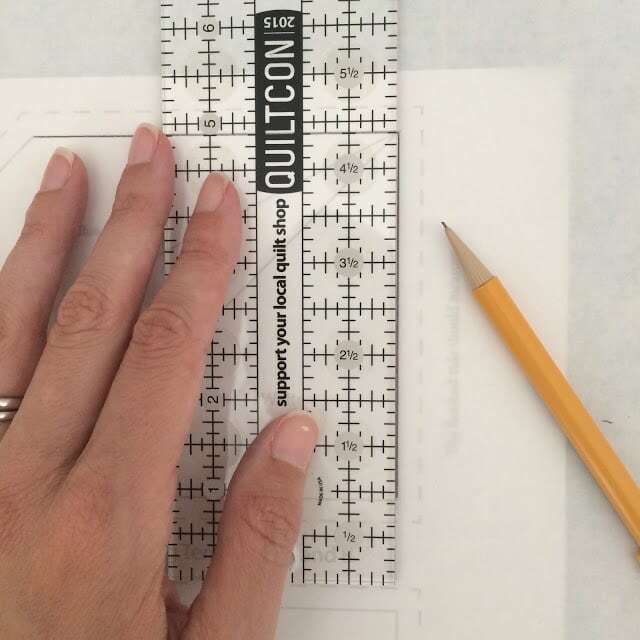 Raise your hand if you love paper piecing but HATE taking the papers out of the blocks. 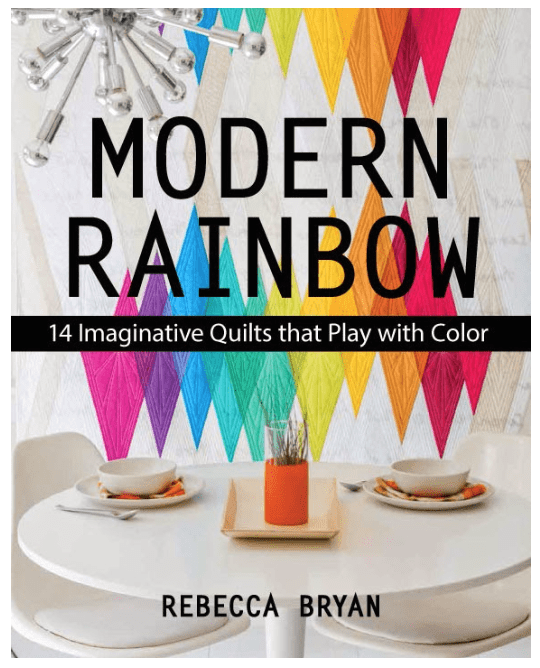 Well, pull up a chair and I’ll tell you my story about how paper piecing killed my sewjo (sewing joy) and how discovering Freezer Paper Piecing changed my quilty life for the better…. Before I get to the story and the tutorial, I do want to mention that I created a free guide for this technique. As you experiment with this technique this guide might be a good tool to have nearby for reference. Click the button below to access the free guide. 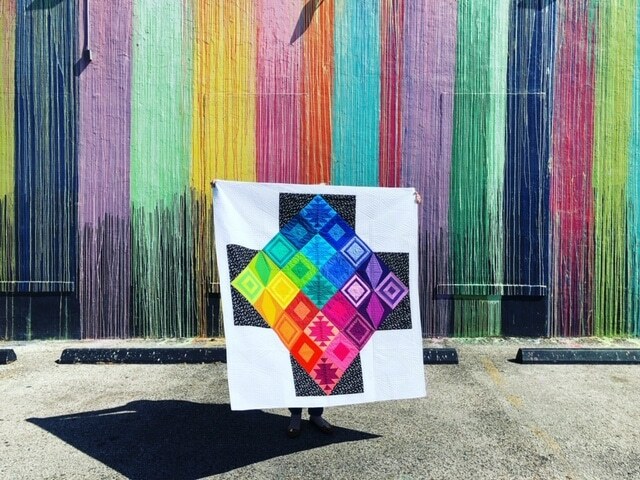 Once upon a time, I made a gorgeous quilt. 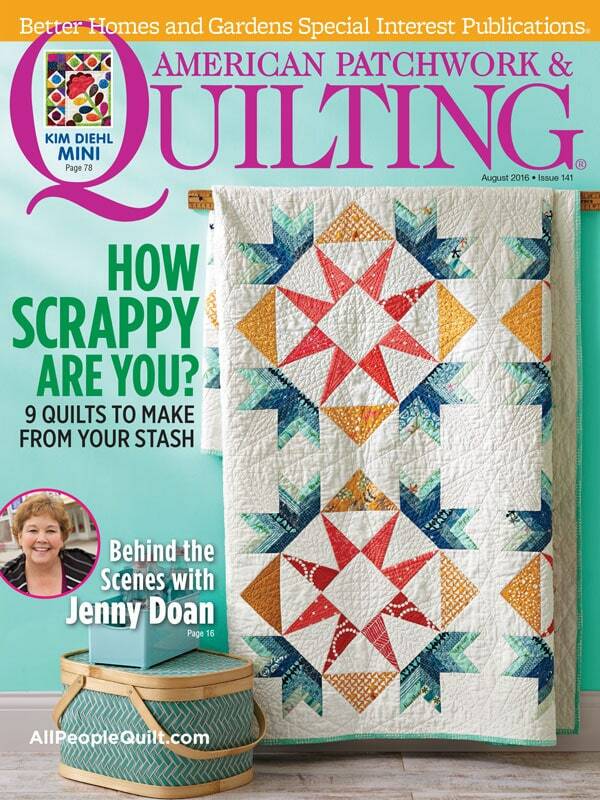 It even made the cover of American Patchwork & Quilting (what! crazy town!)! But after I made this gorgeous beauty, I swore off paper piecing. Forever. I know. It sounds dramatic. But it’s true and I meant every word. 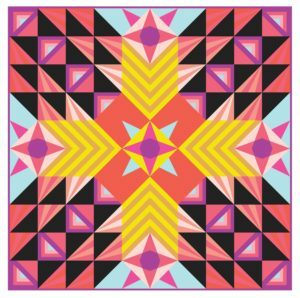 That cover quilt? Was a labor of love. Tearing the papers out of the blocks took twice as long as the actual making. And my mom and I were both tearing out papers. Two people! Twice. as. long! And our fingers hurt for days after all that ripping! Not cool. No more I said! No more foundation patterns for me. Ever. I just could not fathom spending that much time on ripping. Life is too short! I’d rather spend my time creating and making. Amiright? Happily, a friend showed me how to freezer paper piece. And my life was changed! Freezer Paper Piecing saves me so much time, saves paper, and save my fingers from the pain. And my quilting world was reopened to all those lovely patterns that involve foundation piecing. And I’m so happy to share this technique with you in this tutorial. This is the same technique I teach in my classes and it is such a delight to watch people’s eyes as they learn this technique. 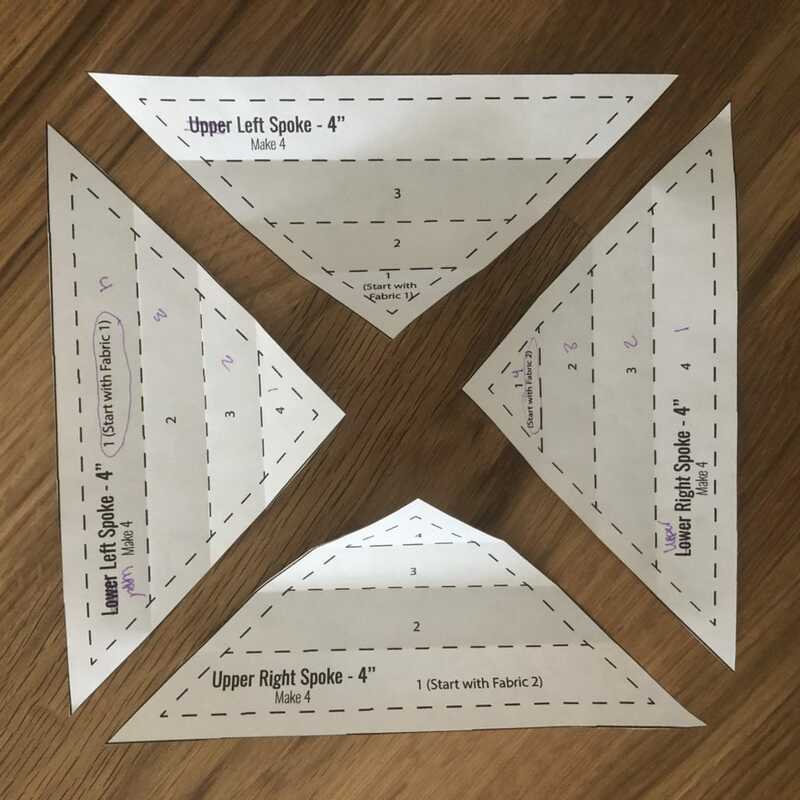 Freezer Paper Piecing is similar to paper piecing in technique. But the main and most important difference is you can reuse the templates and you don’t have to rip out any paper. Instead of making 1,000 copies of your template (number maybe slightly exaggerated, but only slightly), you trace a copy on freezer paper. 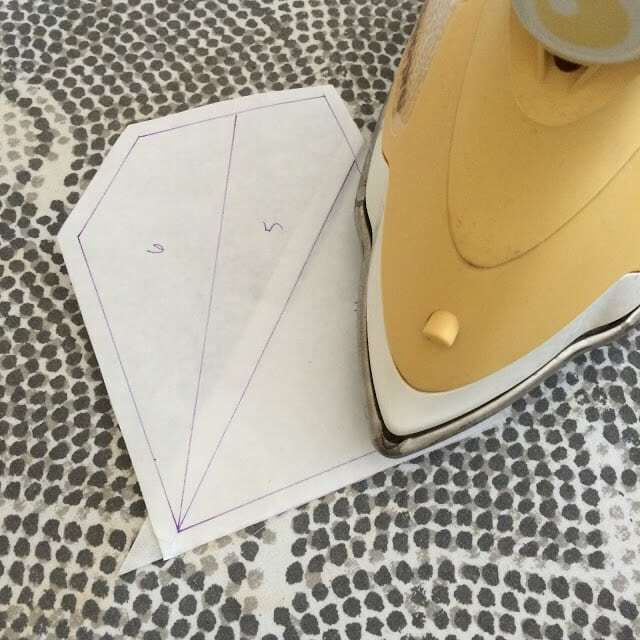 (I use printable freezer paper because I am FULLY committed to this technique.) You may want to make a few copies so that you can work in batches. I made 4 of each template so I could work in batches of 4s. 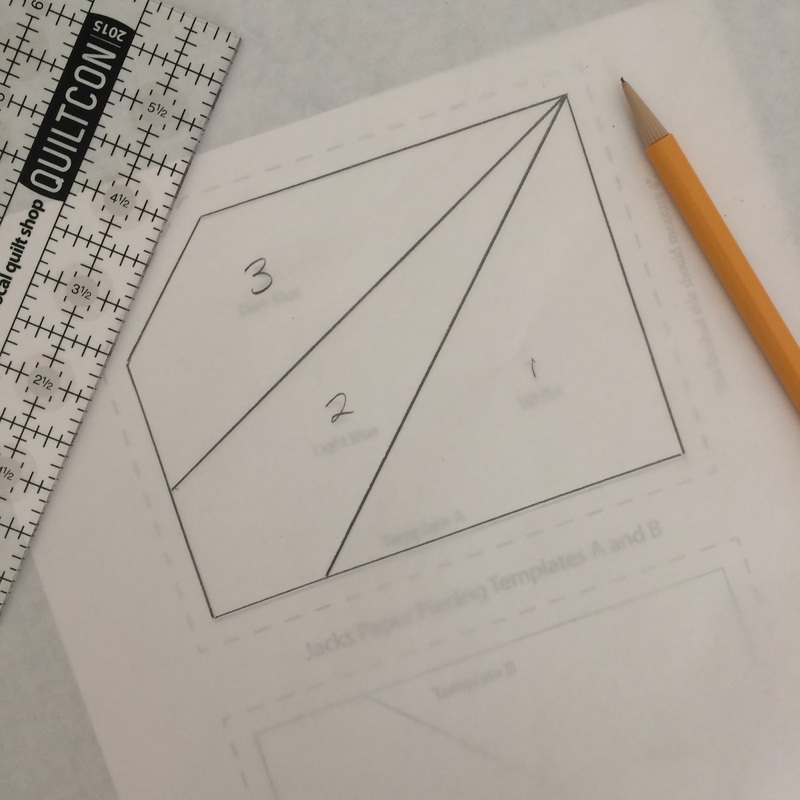 You will need a printed copy of your template(s), a pen or pencil, a ruler, freezer paper, and paper cutting scissors. Using the ruler as a straight edge, trace the template onto the paper side of the freezer paper. Don’t forget the numbers and any other information on the template, especially if you are going to reuse the template at a later date. 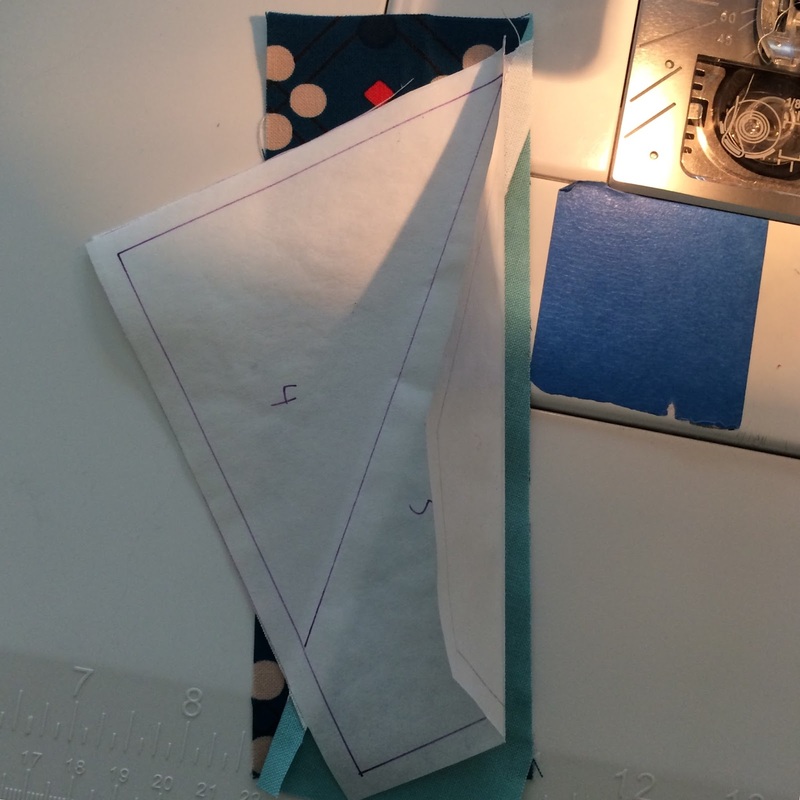 You can trace the 1/4” seam allowance now or add it when you trim the blocks during the last step. Cut out the traced template with paper scissors. Then fold or score the seam lines. 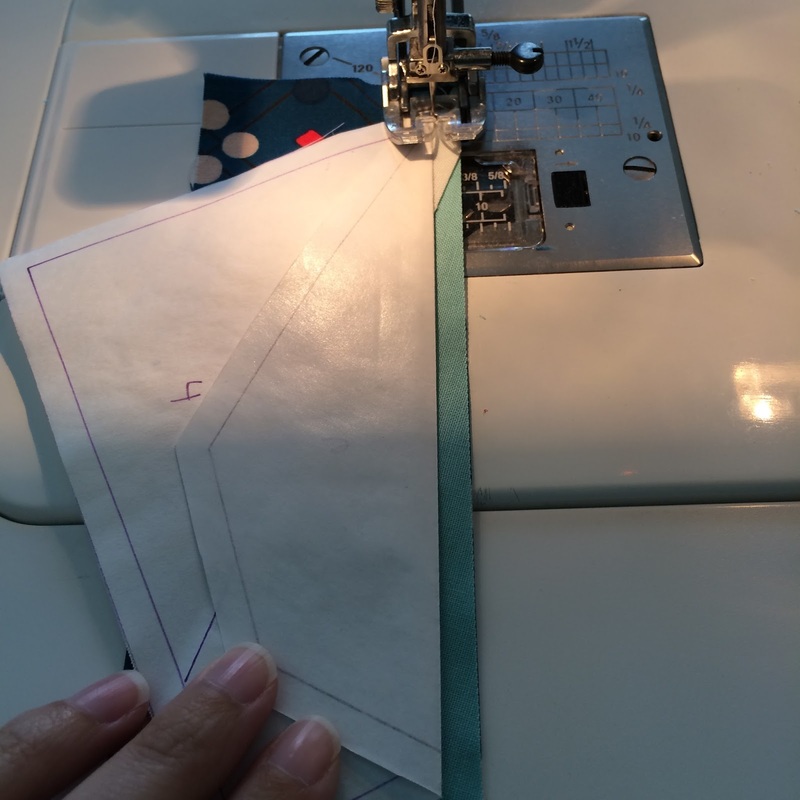 You will be folding them during the sewing, so this step will make it easier to fold during the subsequent steps. 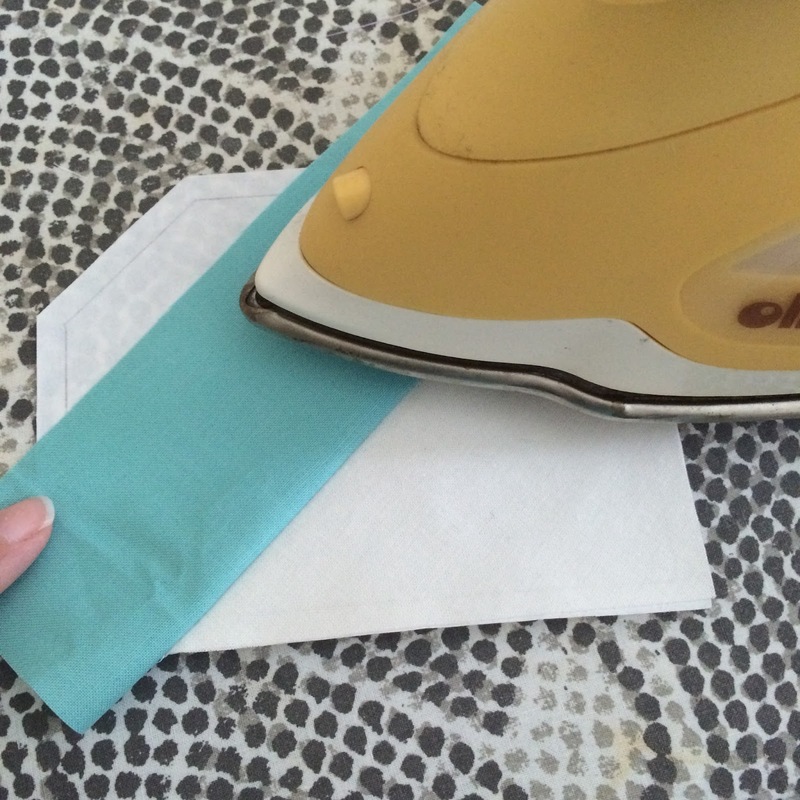 Instead of pinning or glue basting the first fabric piece to the template like you would in paper piecing, you will iron the freezer paper to Fabric 1 (my Fabric 1 is white). Make sure the paper side of the freezer paper is facing up and the wrong side of the fabric is facing the sticky part of the freezer paper. So line up Fabric 1 to the template and iron the freezer paper template to the fabric. Next, line up your second fabric (my Fabric 2 is aqua) just as you would in paper piecing. 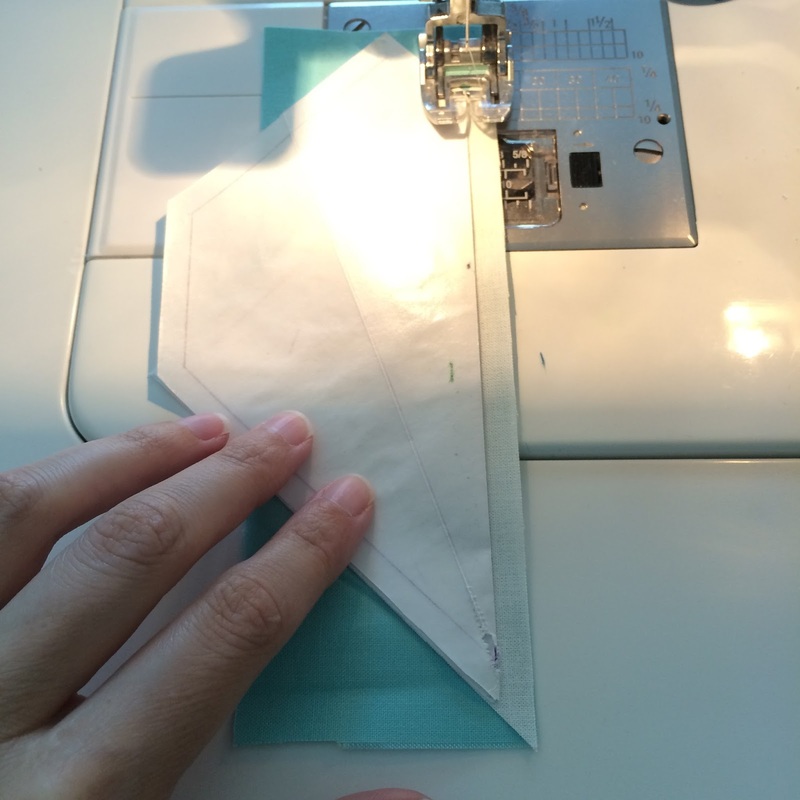 When you go to sew along the line, fold the freezer paper out of the way of the seam line. Stitch right next to the fold but not through the paper. See how my seam line is right next to the fold, but not through the paper? Now press the seam with the fabric right side up. This will also make the freezer paper stick to Fabric 2. Be sure to not iron the sticky side of the freezer paper that is facing up – you don’t want to get that on your iron plate. Put the unit fabric side down on a cutting board. 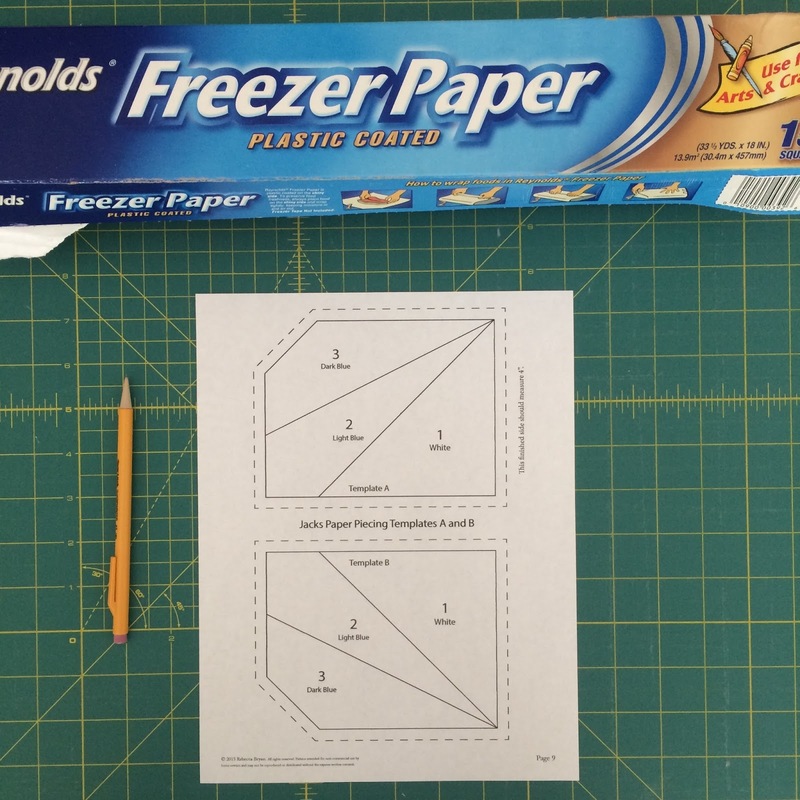 Fold the freezer paper template back to expose the seam. And trim the seam to 1/4”. Repeat the process the finish piecing your template. This is me lining up my Fabric 3 (dark blue) with Fabric 2 (aqua). Can you see how the dark blue fabric is 1/4” past the seam? 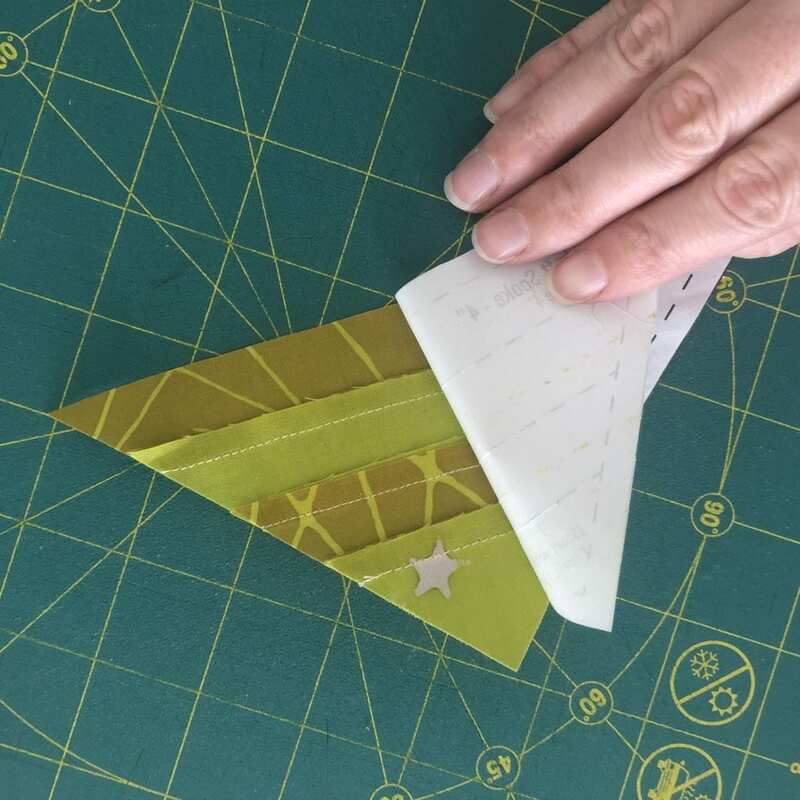 Just as with paper piecing you will want to make sure the fabric is large or long enough to cover the entire shape. With the freezer paper template folded back, stitch right along side the fold. The stitches are right next to the fold but I haven’t stitched through the paper. Press the unit with the fabric side up. Voila! 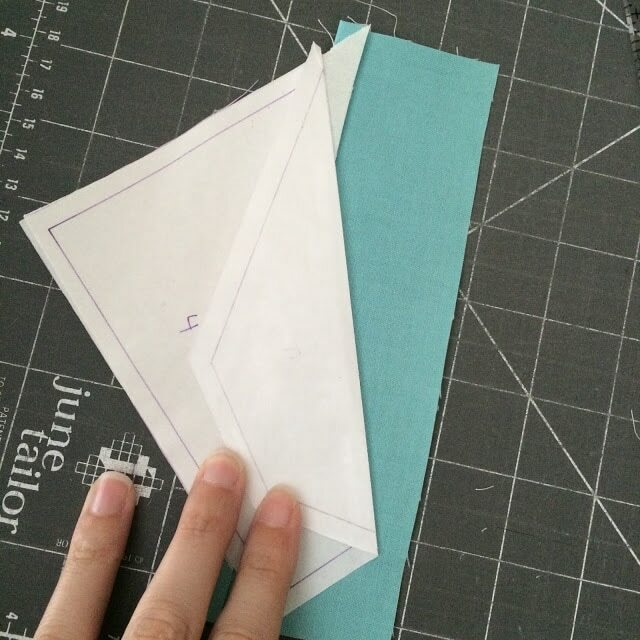 No picking out paper from your seams and you can reuse that freezer paper template. YAH!!! How cool is that?! 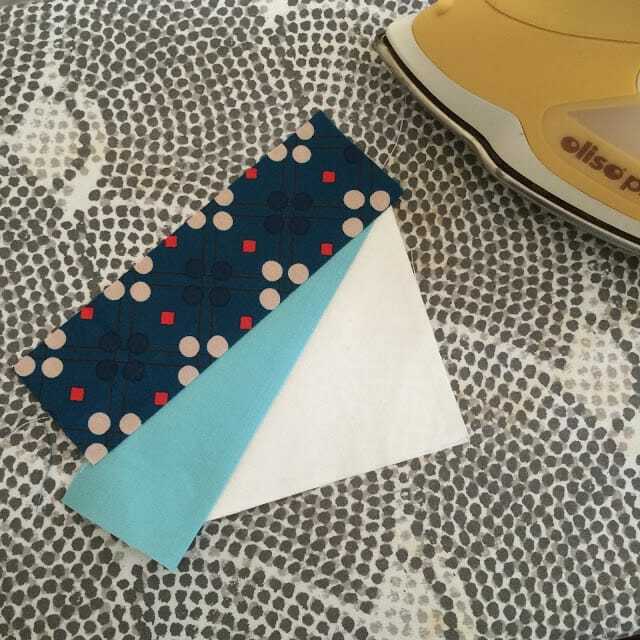 Grab a free pattern to test out the Freezer Paper Piecing technique – I recommend making Rainbow Jacks, which is *just* a pillow. So you can make something small AND get a taste of this technique. Click here to get the Rainbow Jacks Pattern. 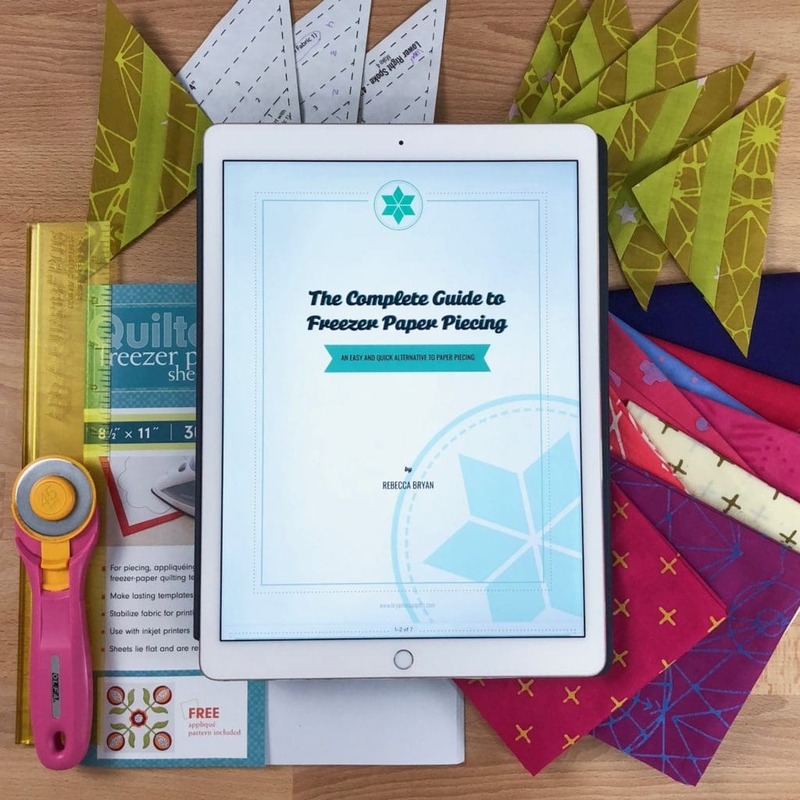 Download the free printable – “The Complete Guide to Freezer Paper Piecing”. By clicking the button below. Check out my list of must have tools for Freezer Paper Piecing. Need help? Join the conversation in the Facebook group. I recently started doing this myself and it is an amazing thing! 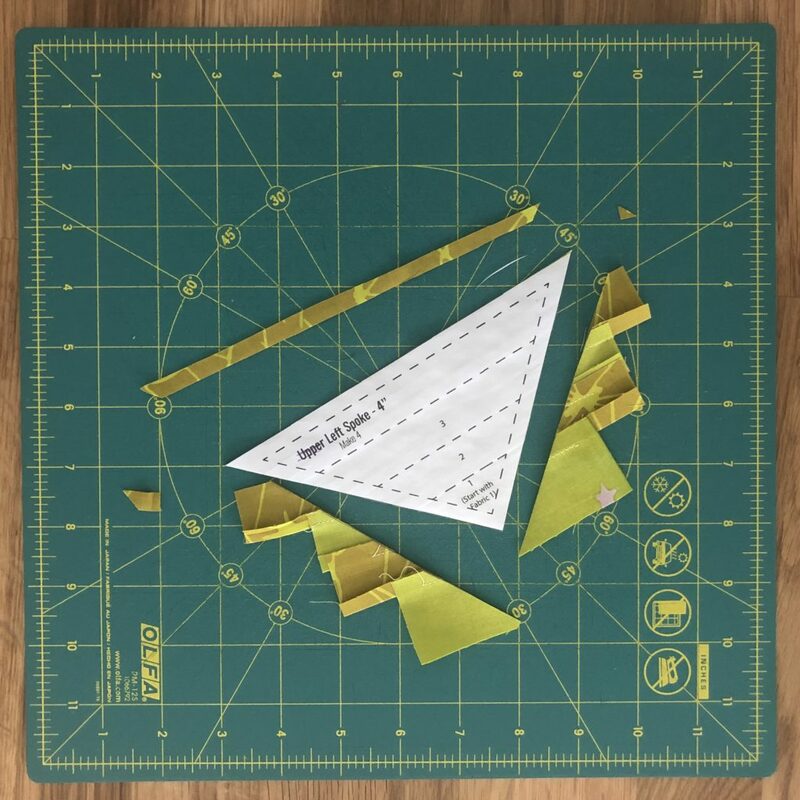 It saves time ripping, which is the worst part of paper piecing. I actually stick my freezer paper right into my printer and print the pattern directly onto it. wow that’s great – I assume you cut the freezer paper to 81/2 x 11 ? Not necessarily. You can purchase printable freezer paper that is 8 1/2” x 11”. I love this idea. Where can I purchase the premeasured freezer paper? Thank you for sharing. 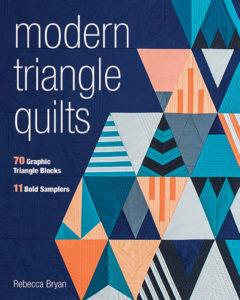 You can also find it in your local quilt shop or Joann’s. Great and thanks for telling! Thanks so much! I hate printing all those copies, plus my printer is always running out of ink. Can't wait to try it! Awesome! 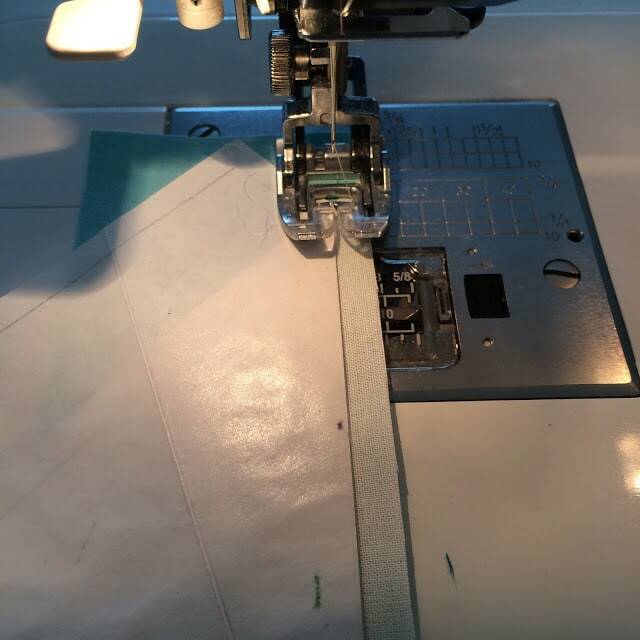 I love this concept and you aren't dulling your machine needle and you don't have to use tiny stitches! I was definitely nodding my head with your opening question. I have seen this demonstrated before as well but haven't tried it. Love the idea of doing a small batch at a time. This is a great technique. I think it was first developed by Judy Mathieson (Queen of the Mariner's compass https://www.youtube.com/watch?v=II3jICgLMcI ) but needs to be disseminated much more widely. Two additional benefits. 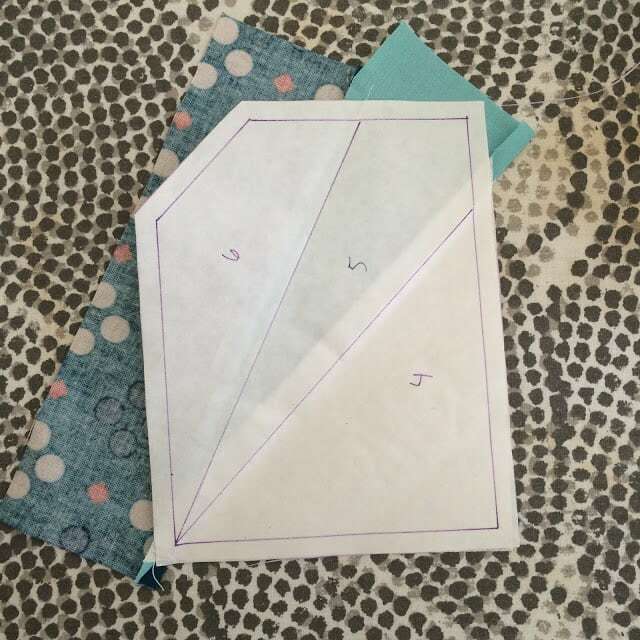 with the paper folded back in preparation for sewing (next to the fold) you can clearly see whether the new piece covers the area it is supposed to cover, AND, since the fabric is not sewn down to the paper, you have the option of changing the direction of the seam allowance. 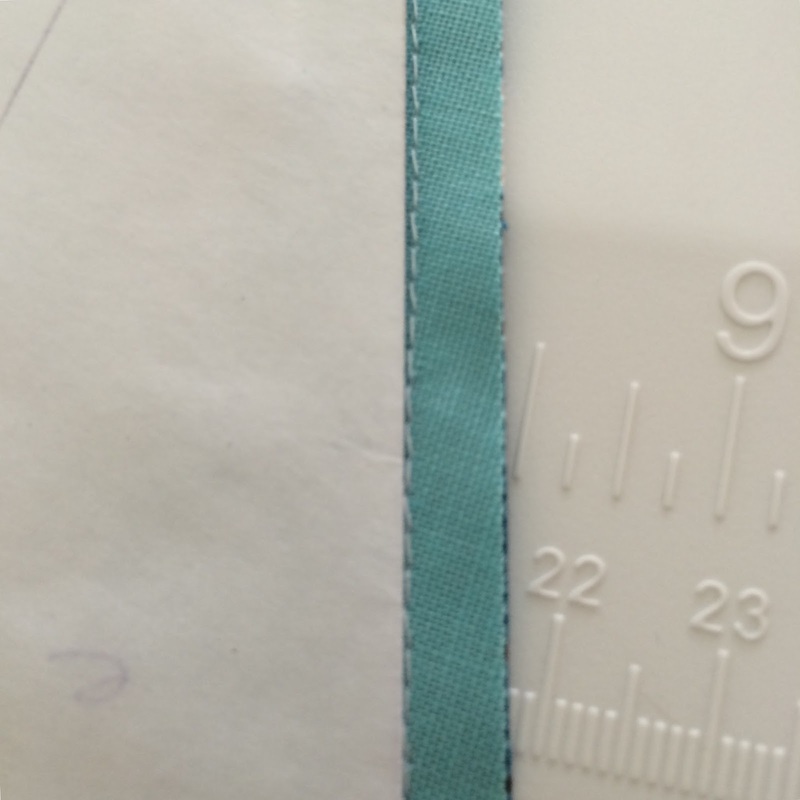 After sewing, you can peel up the paper edge along the fold and tuck the new seam allowance under. This can reduce bulk and allows control over the way layers come forward or recede. Thanks again for a very clear demonstration. Or, I have heard that some people cut sheets from the roll and do the same thing. Thanks for the tutorial…very valuable info! I love this method and have used it several times. I am seriously so excited to try this!! 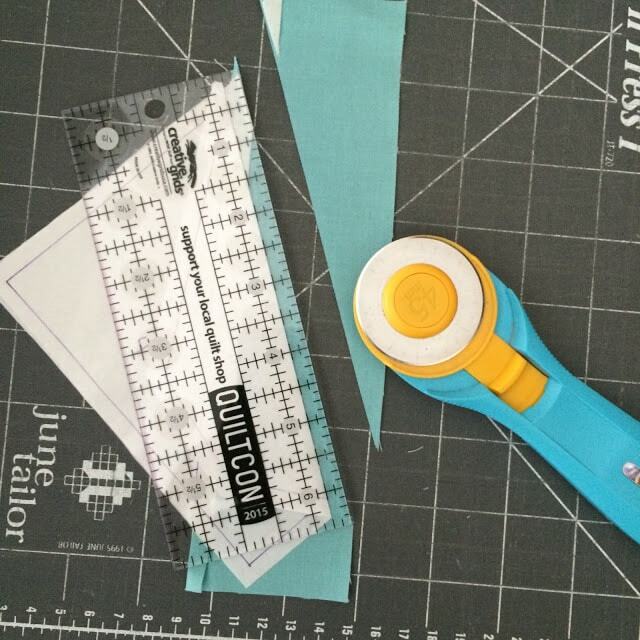 I love the look of paper piecing but hate all the tearing….this is going to make life so much easier!! Thank you for sharing! Yah! Your excitement matches mine. It makes life SO much easier! How many times can you use the same piece of freezer paper before it loses its stickiness? I wanna say I am able to use each around 8 times. Thanks! Yes! It is work all around, but less work when it comes to picking out the paper. Very interesting! I might like paper-piecing better this way. I don’t do it at all now because I dislike the process so much. I hope to. This tutorial is first on my list for video tutorials. Yep! You can also make copies of the PDF and share with your group. Thanks for asking! I might try this now. Very clear explanation of the process. Thanks for sharing your thoughts about agen judi online. I had my hands raised also. I will put this method on my to try list.